Join us at the Downtown Raleigh Home Show on Saturday, February 16th from 12pm – 2pm. 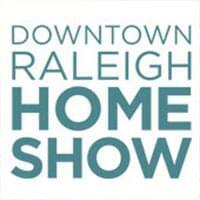 The Downtown Raleigh Home Show is going on February 15th through 17th at the Raleigh Convention Center! Three days only to shop, compare and save with hundreds of experts all under one roof! Get renovation tips from Kevin O’Connor host of the PBS series This Old House, appearance sponsored by Spectrum. Plus explore three Designer Rooms created by The Design Haüs. From kitchens and baths to landscaping and more, don’t miss the Raleigh Home Show. For more information and discount tickets go to DowntownRaleighHomeShow.com.